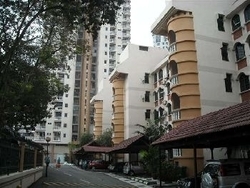 City Gardens (also known as Kondominium City Gardens) is an old freehold condominium nestled at the end of Persiaran Raja Chulan, right at the top of Bukit Ceylon. It neighbours Verticas Residensi, Regency Tower, Sixceylon, Angkasa Impian 1 and even the Pahang Palace. City Gardens is strategically located within the serene and peaceful remaining green lung of Bukit Ceylon. Besides the lush greenery, it is also surrounded by aplenty amenities. Right in front of the condominium is SJK (C) Nan Kai. Other schools nearby are Stella Maris Secondary School and SMK (L) Methodist, both are within 1km from the residence. 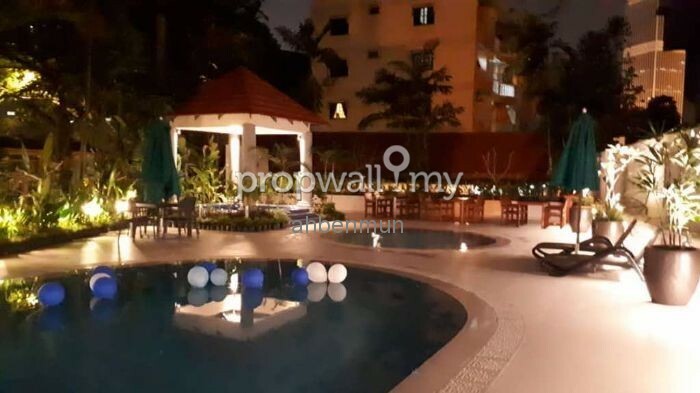 Also, just merely 5 minutes driving down the road, one can reach rows of bars and chic restaurants around Changkat Bukit Bintang, and a number of prime shopping malls along Bukit Bintang shopping belt. It is also meters away from Chinese Maternity Hospital (CMH), Tung Shin Hospital and Puduraya Bus Terminal. To access City Gardens, the only road that brings motorist to the condominium is Persiaran Raja Chulan, which is accessible from Jalan Raja Chulan and Jalan Ceylon. However, there are few public transportation options available nearby the condominium, Plaza Rakyat RapidKL LRT station, and Imbi and Hang Tuah Monorail stations. The management, which runs by the joint management body (lead by a mix of expatriates and locals), has done a very good job to take care of City Gardens. Last year, it was reported that there was a water leakage problem from the water tanks at the tower block. The management has since rectified the problem by changing and cleaning the roofs of the tanks. Not only that, they have also refurbished the lifts of the low-rise blocks and replaced the swimming pool motor pump. Not only well-maintained, the management is going to upgrade the swimming pool area. The upgrades will include new swimming pool, wading pool, Jacuzzi, roof terrace, gymnasium, showers and toilets. On top of that, they will add a new barbecue area with a barbecue grill and tables. These upgrades are budgeted to cost at about RM250,000. Other than those, the management might also upgrade and fix the management office.